As I was doing my research for American Cowboy Magazine, Made in American feature, my mouth literally feel open when I saw the jaw dropping workmanship of Matt Humphreys’s spurs! Vaquero inspired, every detail of the spurs are handmade, unique, and leaving me to obsess over! It is hard to ignore Matt Humphreys’s original designs of bits and spurs. Producing attractive yet durable and functional gear, this young cowboy uses gun-style engraving techniques, while expanding and challenging himself with new designs. Humphreys approaches spur and bit building and design using very modern methods. He enjoys using technology and machinery to his advantage to produce striking bits and spurs, keeping his spirit and business fresh and alive. Building pieces for famous Texas businessman Red McCombs and Supreme Court Justice Antonin Scalia, Humphreys work speaks for itself! Motivated and inspired by a goal to set himself apart from other bit and spur makers, he produces durable and impressive product leaving you with the feeling of wanting more! This family man’s goals are not only to continue to expand and create state-of-the-art creations but most importantly, produce products that his customers are proud to own! Aside from his impeccable bit and spur building talents, he machines and creates custom parts for triple engine pulling tractors, accessories for pressure diggers and bucket trucks for electric companies, and even machine blades for dehorning cattle. He also sells custom cutting spur and bit parts. 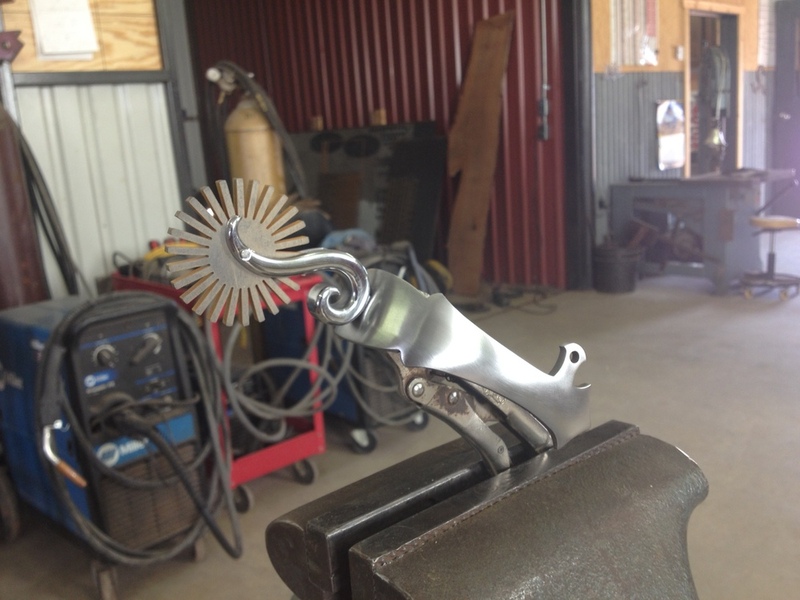 To be engrossed by Matt Humphreys’s brilliant master pieces, please visit his website: www.outlawwaterjetdesign.com.